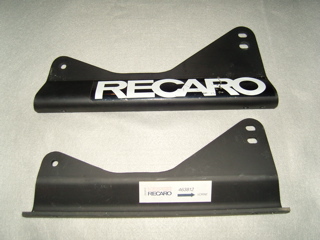 What's the difference between Recaro SPG and PP, and how do I fit these ?? I'm having a bit of a headache here. My seats are Recaro Pole Position SPG !!! everywhere I turn I get the impression that SPG is one model and PP another. It's upside down offcourse, but clearly the rear mounts will never fit. It must be my seats that are odd ? What part numbers do you have on your seats ? And even if the bracket and seat fit I can't see how the lap belt mount on the tunnelside should fit. I'm sure I have seen RS's with this seat AND with regular 3pt harness. Does the BK part, R-9005, have the same dimensions as the Porsche part ? I have the one from Porsche. The SPG is the original one piece seat. The Pole Position SPG is the XL version of the SPG and is larger in width and requires wider seat brackets as you've found out. The SPG is similar in width to the Pro Racer and the PP SPG is similar in width to the Pro Racer XL series. So, my seats are SPG XL then, that explains it. I'm aware of the FIA date, but for now I'm not that serious and the rules for the series I'm going to race allow this. I had a look at my brackets I have the adjustment holes towards the rear of the bracket. It gives you more rake on the seat. What brackets do you have ? My brackets are the BK 9063 which are identical on both sides of the seat I will only move my problem to the other side by reversing them. I tried it now. It wont fit. The holes dont align properly, and the bracket conflicts with the "harness hole frame". And if it did it would change the rake the oposite way, ie tilt the seats forward. 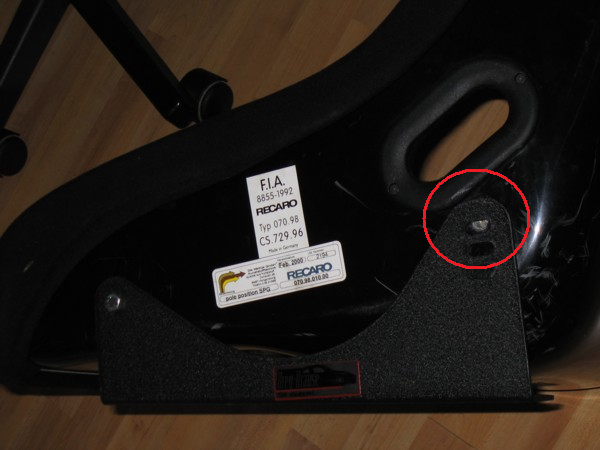 I've just read quickly through the thread,and I have the spg's and recaro side mounts on mine.I just pulled the cover off my car in the garage and the three holes are at the fwd position on mine. I photographed my mates factory rs and another mates factory rsr and copied the factory position when I fitted mine in. The mounts in the photo aren't recaro? 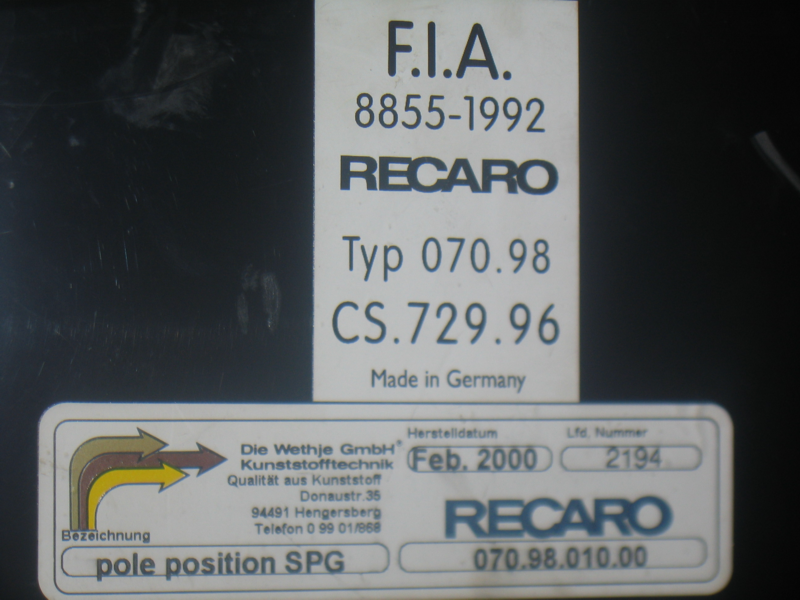 and the recaro photo above that one is the same as mine which has the sticker also on the inside. I remember when I was putting mine in that the back end of the runners needed spacing out as the floor has a bump in it which caused a little headache. Single hole goes in the back and multiple oval holes goes in the front. Now you've got the side mount the wrong way. The seat angle is created by lifting the front of the seat. Mine have single holes in the front. Mine are b an K mounts, same as yours and mine fit. I have the exact same seat as you do. I bought these aluminum mounts from Speedware Motorsports, in black. click here They are a perfect fit with the Recaro sliders and leave enough room for the seatbelt receiver at the center tunnel. I did purchase a factory seatbelt bracket (#24 in the PET as posted in the other thread by Joey) and three spacers (#27 in the PET) to level the mounts on the sliders. Hope this helps. 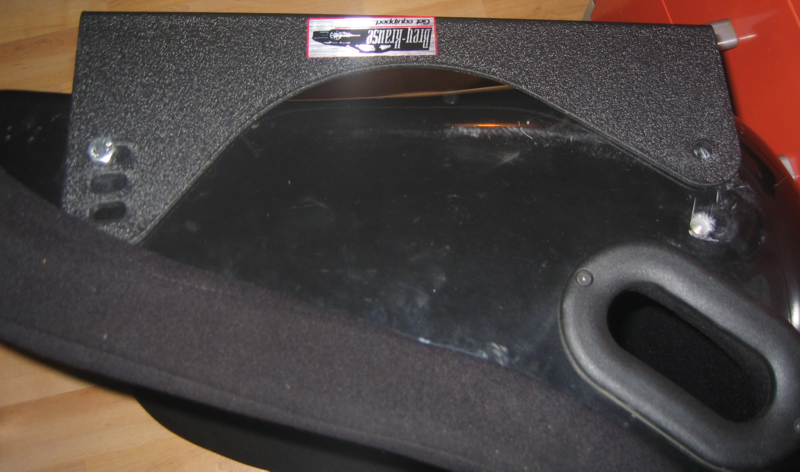 Quick Reply: What's the difference between Recaro SPG and PP, and how do I fit these ? ?